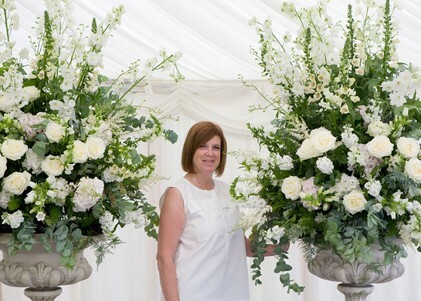 Award winning Jades Flower Design was founded in 1995 by Beverley Nichols, with one aim in mind – to create wedding flowers that are simply unforgettable! Beverley Nichols has worked as a floral designer for over 25 years, after obtaining the ICSF (Intermediate Certificate Society of Floristry) in the early 90’s. After freelancing in London for some of the UK’s best known florists and working on royal birthday celebrations and celebrity weddings at exclusive venues such as Claridges, Four Seasons and The Savoy, she launched Jades Flower Design. Beverley views it as a great honour to work closely with couples to create spectacular wedding designs and share in their excitement. She thoroughly enjoys spending time with each couple at her studio, collaborating on designs and hearing all about their wedding plans. In order to provide an exemplary service on such an emotive day, Beverley strongly believes in dedicating time to providing a personal approach. 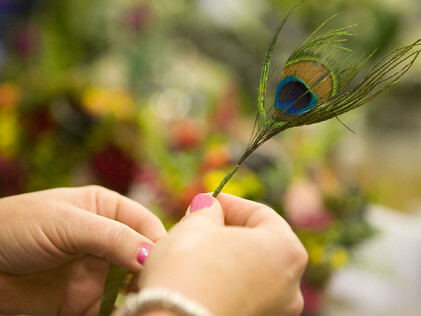 It was the creative nature of floristry, coupled with the love of making someone's important day so speciial that led Beverley to become a wedding florist. 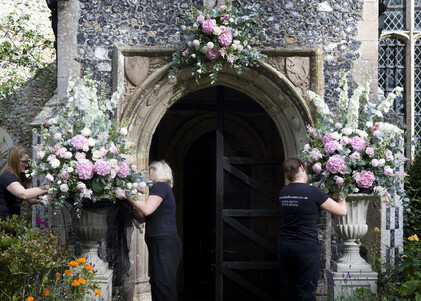 There are so many elements of wedding floristry that Beverley adores (even more than cake, poodles and Kevin Costner) such as designing bespoke creations, addressing practical challenges when installing ambitious new designs and ultimately providing excellent customer service. Beverley’s enthusiasm for what she does is not only evident in her wonderful designs but is also reflected in the countless accolades and testimonials of delighted clients. Beverley prides herself on understanding the vision of each couple and using her knowledge and flair, coupled with high quality materials such as David Austin roses, to deliver unforgettable results. She has a love of creating large, breath-taking arrangements and installations that complement and maximise the beauty of each venue. Based in the beautiful Essex town of Coggeshall, Beverley has established herself as a leading event florist in the South East. 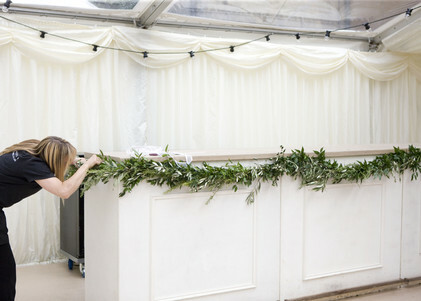 Utilising her design knowledge and experience in London, she has created some of the most beautiful weddings in the area. Her weddings are often featured in national magazines such as Wedding Flowers & Accessories and used as inspiration on wedding blogs such as Style & The Bride, Love My Dress and Whimsical Wonderland Weddings. Beverley regularly works with wedding planners and beautiful venues such as Hengrave Hall, Woodhall Manor, Le Talbooth, The Fennes Estate, Parklands Quendon Hall and Braxted Park. 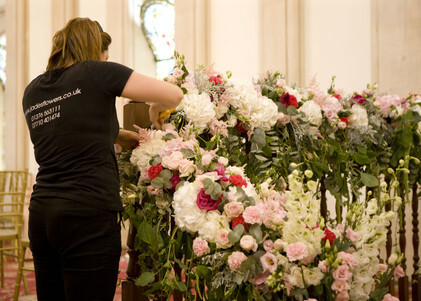 Her success culminated in Jades Flower Design winning Essex Florist of the Year in 2012. Beverley has collected an eclectic array of beautiful accessories such as stone urns, candelabras and vases, which are also available to hire, to ensure that each wedding is styled to perfection. For the last few years Beverley has been tutoring amateurs and experienced florists as part of her Flower School, held in her pretty studio set in the Essex countryside. She takes great pleasure in teaching her students at the Flower School and often shares her extensive industry knowledge by providing expert advice to journalists and bloggers. Beverley is supported by a talented team of trained florists, committed to ensuring that each wedding is simply unforgettable!